I’ve been having a hard time concentrating on things today for some reason. Maybe it’s the weather, maybe it’s just the fact that it’s Sunday. Sunday’s are usually lazy days. So we’ll just blame that. Anyways, I’ve been setting up a little clothing store to try to make some extra money and get rid of some things I never wore/no longer want. It took me hours to photograph everything and I only uploaded some of it so far. (Where are you concentration?!) But after doing that I figured I deserved something special. 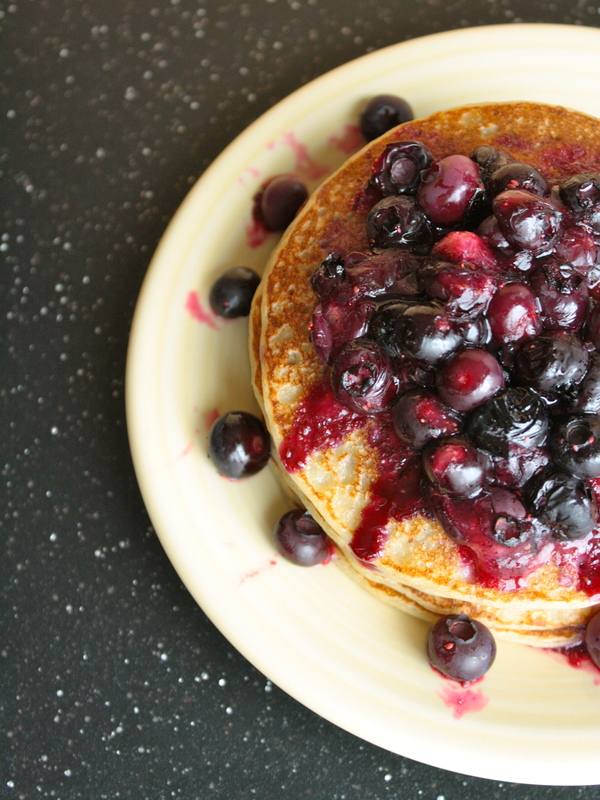 A while back I promised you guys a pancake recipe. I know it’s been a while, but I’ve stuck to that promise! I’ve only been into pancakes for the past year or so. I never really cared for them while I was growing up. I was more of a french toast fan. But I’ve completely ditched it and jumped over to the pancake side of things. I don’t think there’s any going back now. 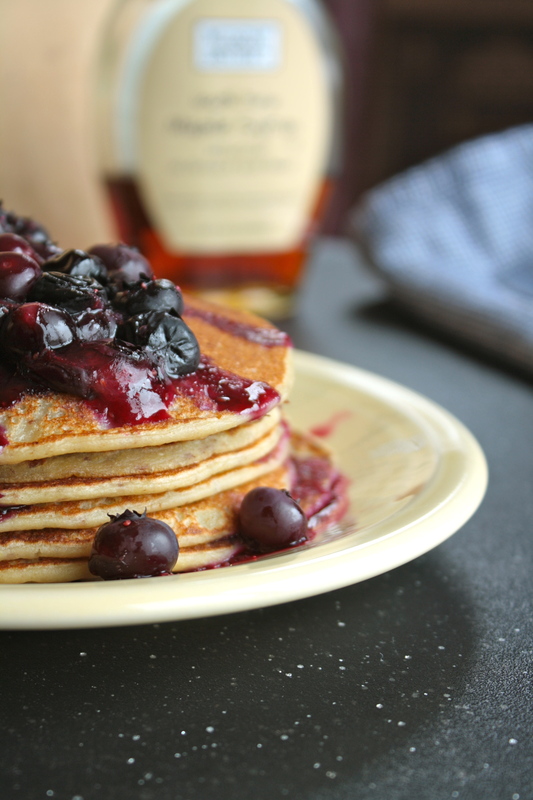 And if you’re not a pancake fan like my past self, then get yourself into the kitchen and get to work on a batch of these little guys. I debated on the name of these. Should I just go with the typical name, banana pancakes, or should I go with banana pan-crepes. I thought about it for a little bit while watching some football and browsing the World Wide Web. I even ran to the kitchen to make a smoothie. After all of that I finally decided. Pan-crepes obviously won for the sole fact that you can use these as crepes or pancakes. Versatility. Two in one, a win-win! These pan-crepes are moist and airy with a hint of vanilla/banana flavoring. Which is perfect because they won’t leave you feeling overstuffed and unable to move for the next 3 hours like a typical “fluffy” pancake would. 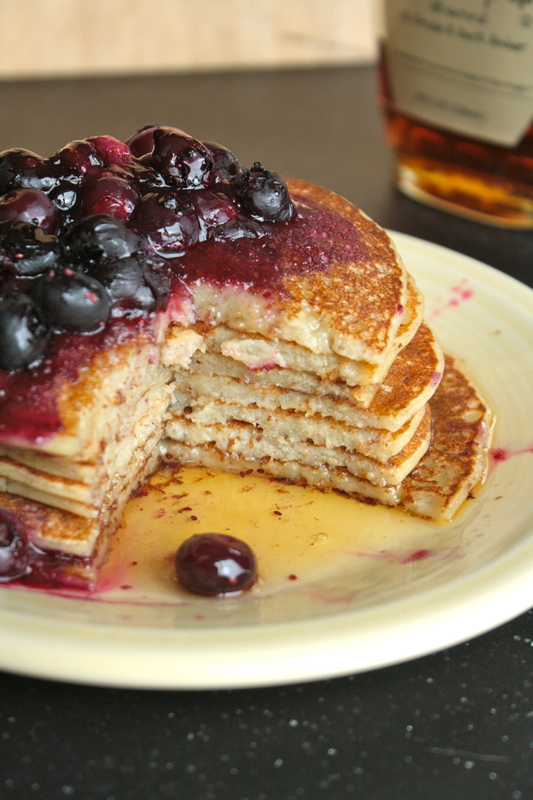 Pancake satisfaction and body satisfaction all on one plate. The excitement is real today guys, so so real! And it’s about to get 10 times more exciting around here. I have an awesome surprise to share with you guys this upcoming week! But until then, let’s pan-crepe! Combine all ingredient and mix together. Preheat a greased pan on your stovetop at low-medium heat. Pour batter onto center of pan (about 1/4 cup) and cook until bubbles begin to form in the center of your pan-crepe. Flip over and cook until golden brown. Repeat that until all of your batter is used. Stack ’em up! Heat fruit in your microwave for approximately 30 seconds or until warm. Time will depend on if you’re using fresh or frozen fruit, size of fruit, etc. 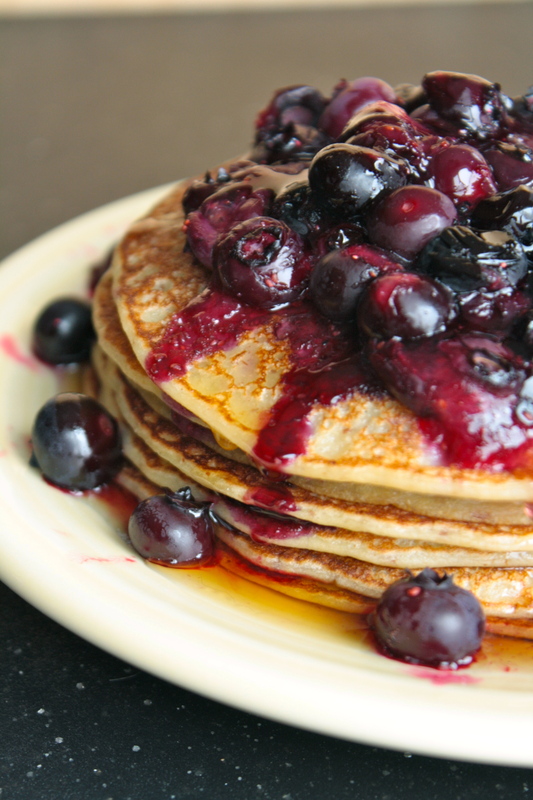 Pour fruit over pan-crepe stack. 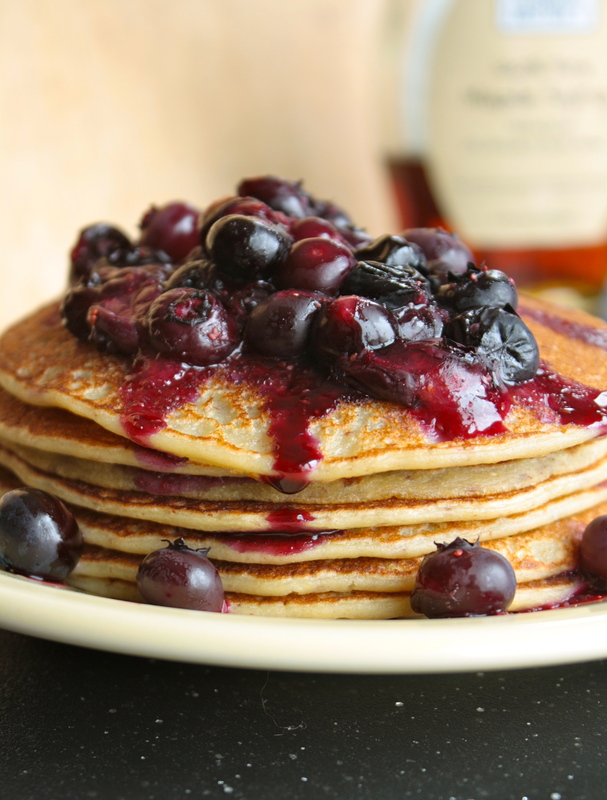 Top with maple syrup or your favorite toppings. Serve, enjoy! 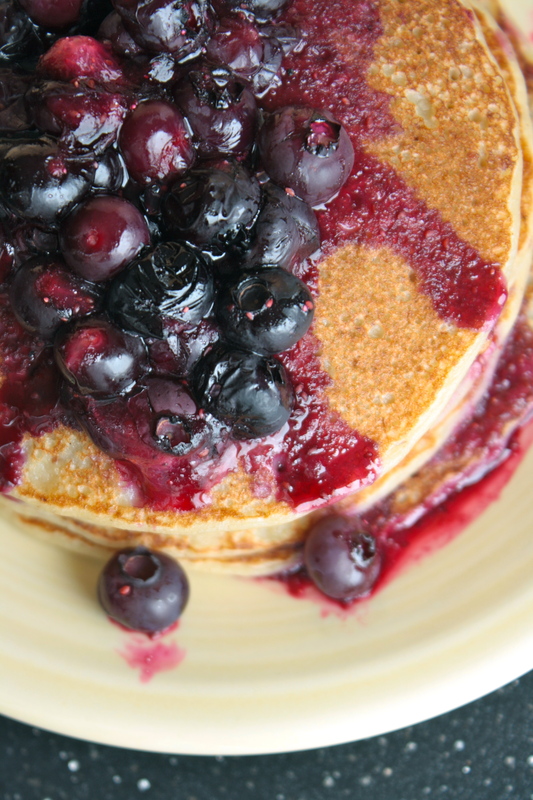 This entry was posted in Recipes and tagged blueberries, breakfast, crepes, food, gluten free, gluten free vegan, healthy, pan-crepes, pancakes, pancrepes, reicpe, vegan on January 12, 2014 by Amanda - Create N Plate. Happy Saturday!! It feels like spring here today. 48 degrees and raining! But sadly it’s not even close to springtime yet. I’m still going to pretend that it’s March and appreciate the “warm” weather though. This juice reminds me of sunshine and happiness. 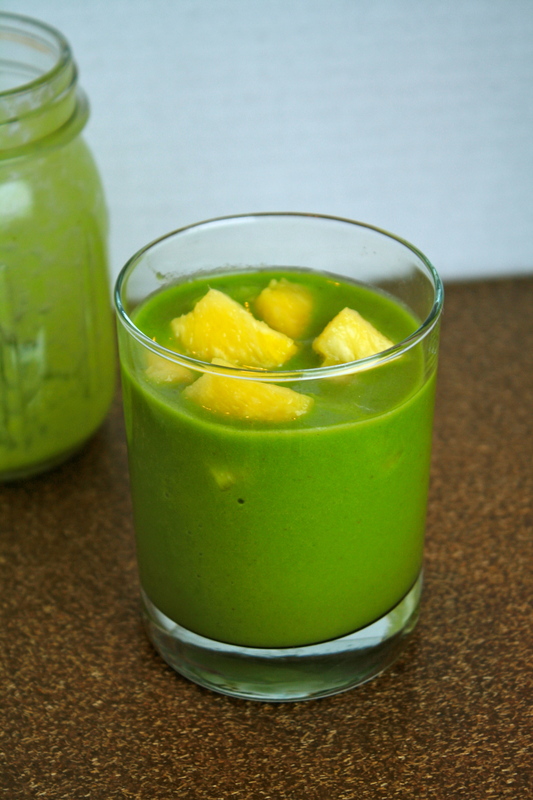 What better way to start your morning, or even end your evening, than with this sweet and tangy juice. But I got 3 pineapples at the store yesterday and I figured I’d switch it up a bit. 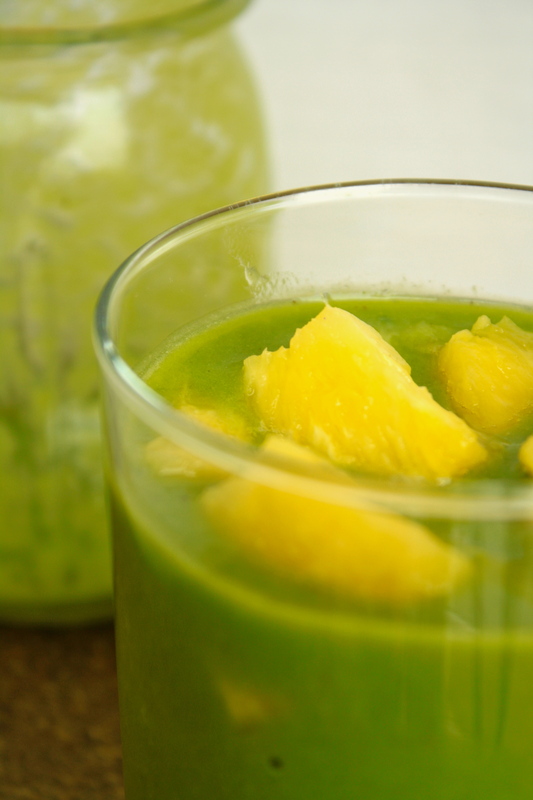 I still used pineapple pieces in this juice just for fun. It adds an extra flavor burst and an extra Vitamin C burst as well! It’s always good to get those extra vitamins, ya know. Especially with cold and flu season in full force. Eat and drink up! Place all ingredients into your blender. Blend up, drink up! 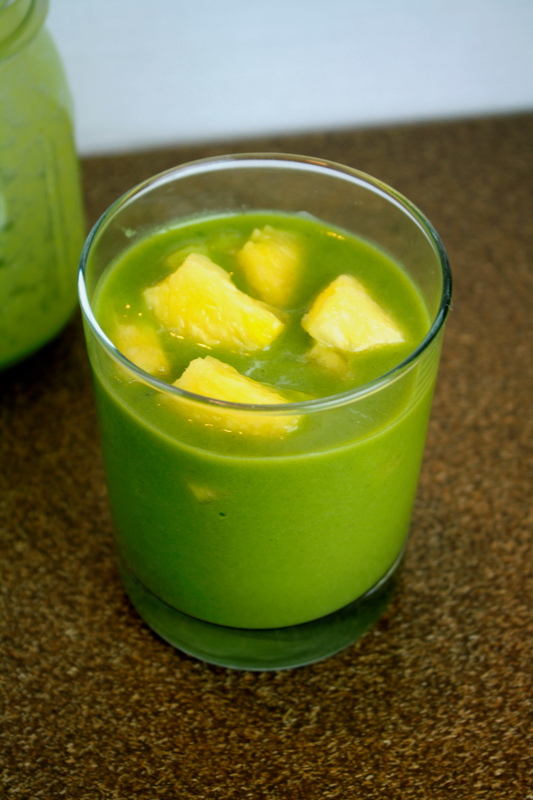 This entry was posted in Recipes and tagged fruit, fruit juice, gluten free, gluten free vegan, green juice, healthy, juice, recipe, vegan on January 11, 2014 by Amanda - Create N Plate. I can’t even tell you guys how much I love my Vitamix. I use it for about 90% of my food now and it makes me so happy. It came with a recipe book that I skimmed through for like 2 minutes on Christmas morning before I tossed it into the cupboard. But there was one recipe in there that was an orange sorbet. 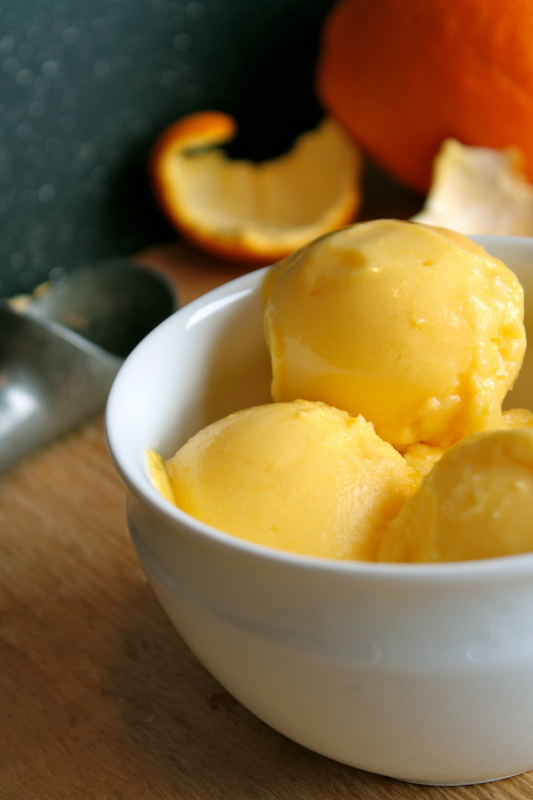 I didn’t like it that much though and decided to put my own twist on it to present Orange Creme Sorbet! It’s exactly what the title says, orangey, creamy, and a little bit chilly but that’s totally okay. It’s more than okay if you make this after a nice long yoga practice or a sweaty gym run which I totally recommend. Actually double up this recipe (you can thank me later) because once you make it you’ll be wanting more. I made two servings just yesterday and gulped them down in a hurry. It might happen again later this evening and no ones gonna stop me! Anyways, let’s get to the recipe so that we can take a moment to appreciate how lovely oranges really are. 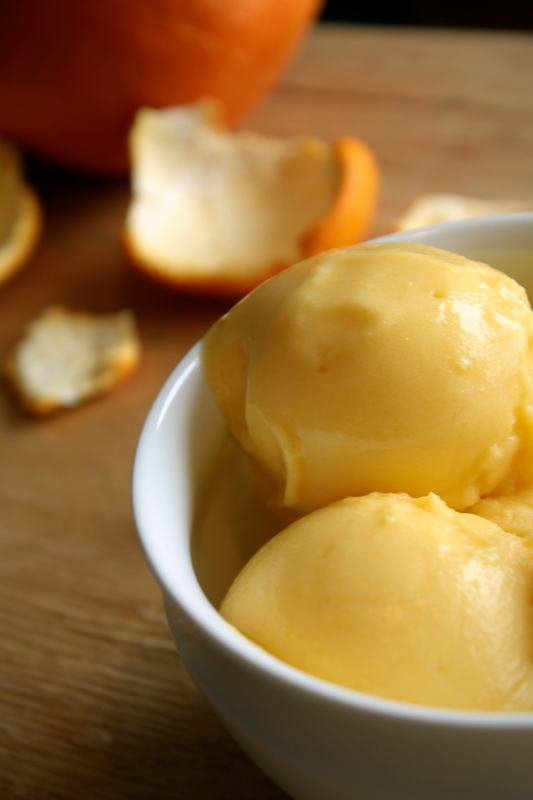 Take the frozen coconut milk and frozen oranges and blend them in your blender or food processor until smooth and creamy. Serve, enjoy! 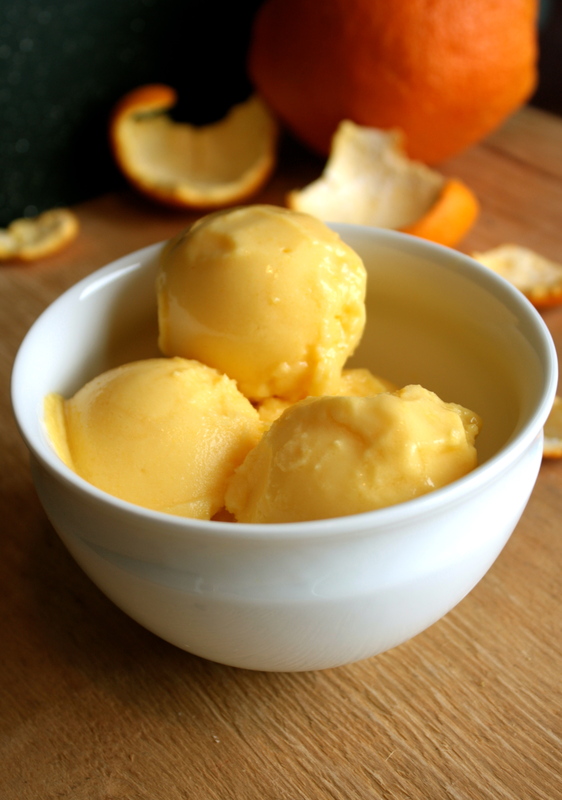 This entry was posted in Recipes and tagged food, gluten free, gluten free vegan, healthy, orange sorbet, oranges, recipe, vegan on January 7, 2014 by Amanda - Create N Plate. It’s zero degrees here right now. I can’t think of a better time to have a smoothie, can you?! Cold outside, might as well make yourself cold inside as well. I know that might not sound fun but I drink smoothies every day so I’m used to it. And by used to it I mean I drink it and then lay on the couch covered in blankets for the next hour. But that’s okay. Totally worth it. 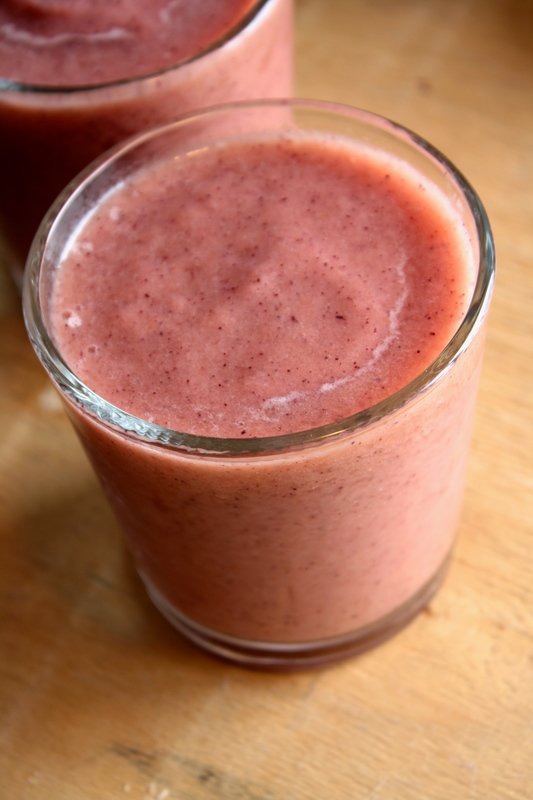 This smoothie is a combination of all of my favorite summer fruits. Yes, I know I should buy seasonally. But I think we all need to splurge every once in a while. Fruit splurge! I actually got a really good deal on the blueberries last week (actually my dad got them, but still) and that inspired this summertime blast. 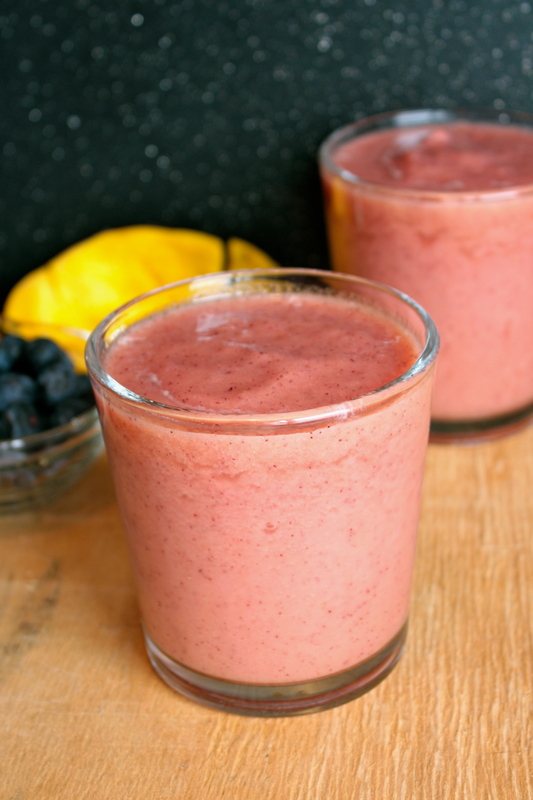 Watermelon, mango, blueberries, pineapple = perfection. 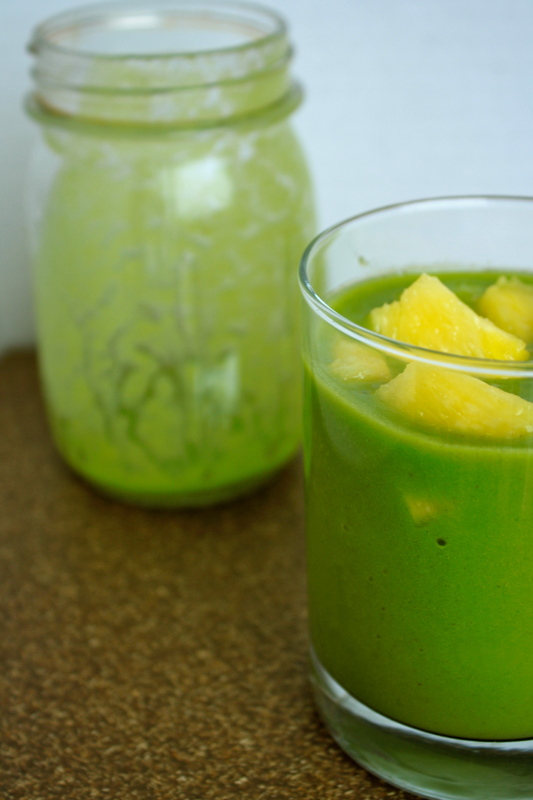 Toss it all in your blender. Blend it up. Turn on Aquamarine, Holiday In the Sun, or any other late 90’s-early 2000’s beachy movie, serve, enjoy! This entry was posted in Recipes and tagged blueberry, gluten free, gluten free vegan, healthy, healthy recipe, mango, pineapple, recipe, smoothie, smoothie recipe, summer, summer smoothie, vegan, vegan smoothie, watermelon on January 6, 2014 by Amanda - Create N Plate. I love granola. It’s so addicting. You can’t just eat one handful (or bowl) of granola. Well I can’t at least. And buying it in the store can get pretty pricey. $6-7 for a small bag of granola. Why?!? I don’t get it. But that’s totally okay because that’s how I create all kinds of awesome granola recipes for myself and you guys too. Saving money and spreading happiness all across the internet with each passing moment. 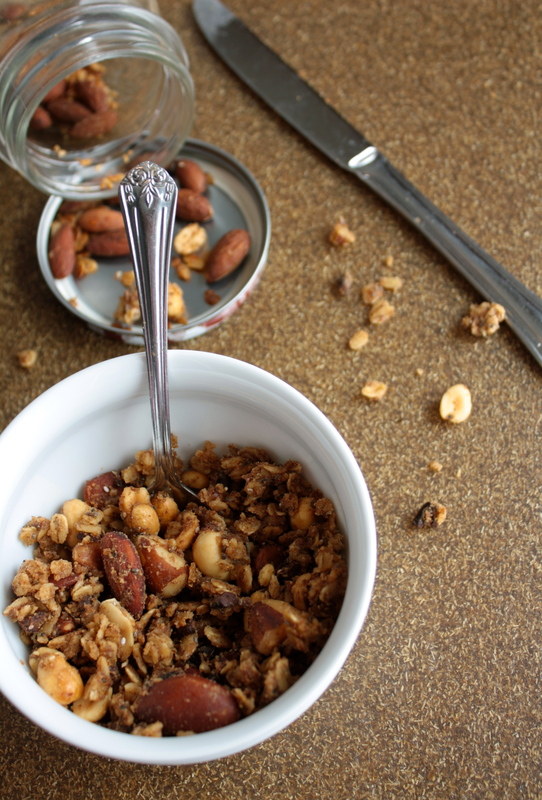 This granola isn’t your typical crunchy granola. 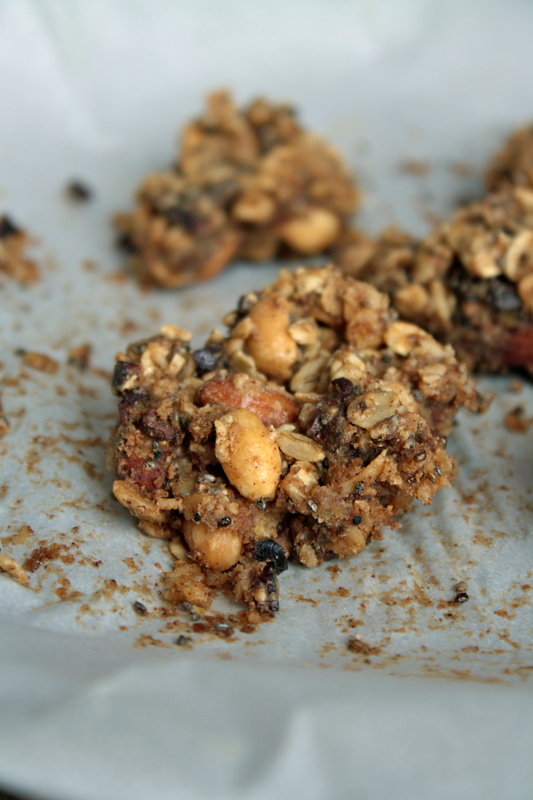 Here you have a crumbly almost cookie like granola with a bit of crunch. 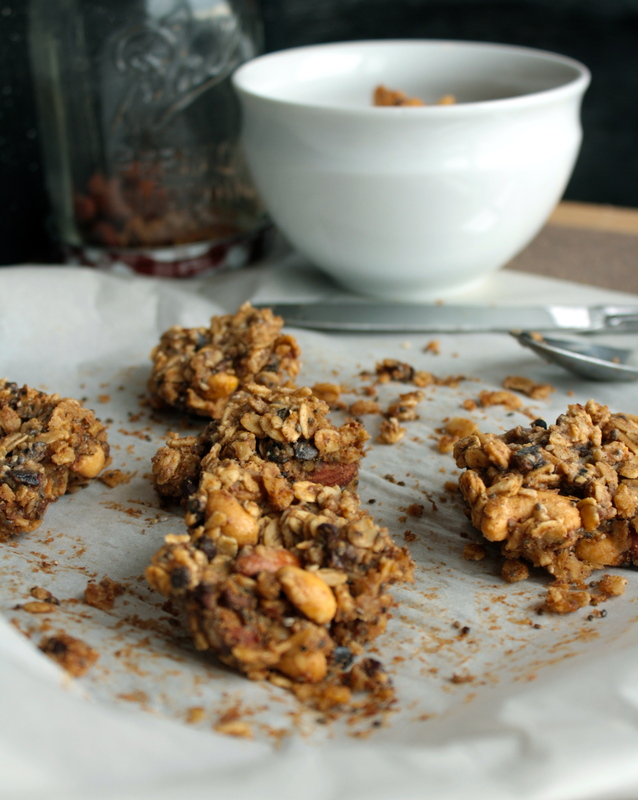 Nuts, cacao nibs, peanut butter (obviously), and a few other nutritious ingredients combined together to create a perfect peanut butter granola. Eat it on it’s own, as cereal, on your oatmeal, topping a brownie sundae, etc., etc., etc. You get it! And now we’ll get to the recipe! Preheat oven to 350 degrees. In a large bowl throw together all of the ingredients and mix together. Place on a parchment papered baking sheet and bake for about 25 minutes. Serve, enjoy! This entry was posted in Recipes and tagged food, gluten free, gluten free granola, gluten free vegan, granola, healthy, peanut butter, peanut butter granola, recipe, vegan, vegan granola on January 5, 2014 by Amanda - Create N Plate.